It's the battle of the century: friends become foes, and not everyone will survive†¦ In the next box set of UNIT - Incursions, Kate Stewart, Osgood and the team meet River Song†¦ but can she be trusted? Kate Stewart (Jemma Redgrave), Osgood (Ingrid Oliver), Josh Carter (James Joyce) and Sam Bishop (Warren Brown) will be back in action as UNIT return next year. In these new adventures UNIT will be crossing paths with the Doctor’s wife, Professor River Song (Alex Kingston). But she won’t be playing on UNIT’s side… Spoilers, Sweetie! This Sleep of Death by Jonathan Morris follows on from the Sixth Doctor’s adventure Static, the Main Range release from December last year. What UNIT will encounter will surely conclude a truly terrifying story. There’s only one rule: the use of radios, cassette recorders and portable televisions is strictly forbidden. People come here to get away from it all, you see. UNIT: Incursions will be released in April 2019 – more details soon. UNIT – Revisitations is available now at £23 on CD or £20 on download. Or you can save money with a bundle. Pre-order UNIT: Incursions (series eight) and buy UNIT: Revisitations (series seven) with UNIT: Cyber-Reality (series six) and UNIT: Encounters (series five) now, together at £90 on CD or £80 on download. 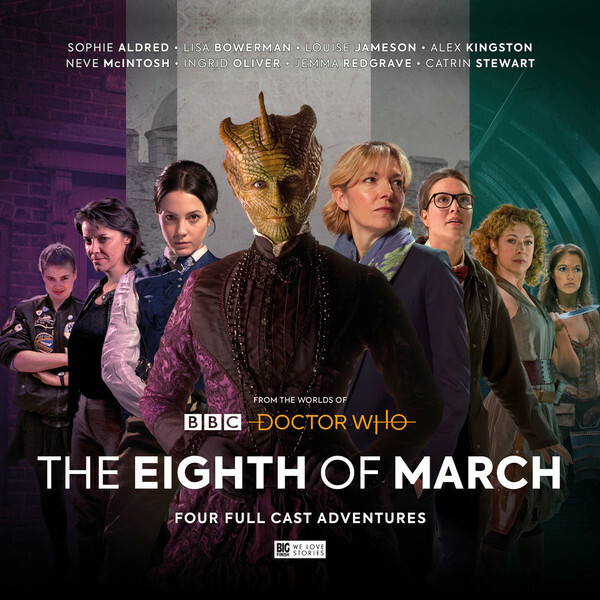 And you'll be able to catch Kate Stewart, Osgood and Osgood in The Eighth of March, coming on the Eighth March 2019.